She is replacing Stacey Tank, who left earlier this year for Home Depot, as the brewer's top comms executive in the US. 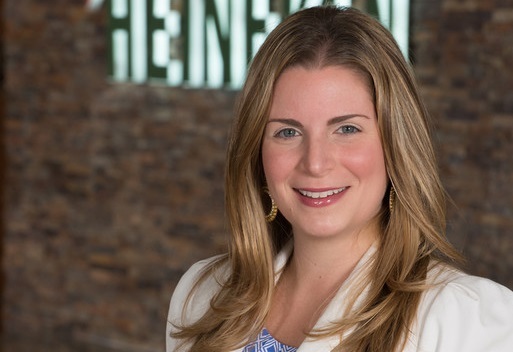 WHITE PLAINS, NY: Heineken USA has promoted Tara Rush, former senior director of corporate communications, to SVP and chief corporate relations officer, effective immediately. Rush, who acted as interim corporate relations leader since the departure of former comms head Stacey Tank in March, is reporting to Heineken president and CEO Dolf van den Brink. She is also joining the Heineken USA management team as its top communications executive. "[Rush] is a dynamic leader and someone we are incredibly proud to promote to the next level at Heineken USA," van den Brink wrote in an email to employees. He added that she "has demonstrated the key behaviors that we need from our leaders and is the right person to take our [corporate relations] function to the next level." Rush said via email that she is "truly fortunate to have the opportunity to lead the corporate relations team here in the US." In her previous role of senior director of corporate communications, which she held since 2013, Rush oversaw corporate and brand PR, employee and distributor engagement, crisis comms, reputation management, corporate events, philanthropic efforts, and consumer affairs. Prior to Heineken, Rush worked at Emanate, where she launched its Los Angeles office in 2007. Before that, she was a PR manager at Mars. Rush also previously worked in the consumer marketing practices of Ketchum, Edelman, and Weber Shandwick in New York. Earlier this week, Heineken said it was splitting with global creative agency Wieden & Kennedy, with which it had worked since 2010. Charles van Es, previously senior director of global brands at Heineken USA, left the company earlier this month to serve head of marketing for the Americas at Vita Coco. Rush said Heineken is seeking a replacement for him. This story was updated to correct Rush's title. It is SVP and chief corporate relations officer, not SVP of corporate relations.